A bright white, low-pressure window & door insulating sealant that conforms to AAMA standard #812-04. 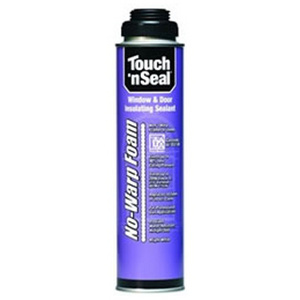 Touch n Seal No-Warp foam exerts up to 90% less pressure and drops to zero pressure faster than the leading competition. Will not warp window frames or door jambs. • Density – 1.3-1.8 lbs./cu.ft.